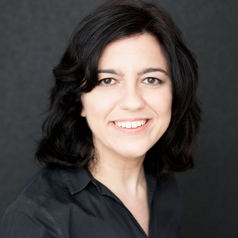 Professor Eleni Vasilaki is Chair of Computational Neuroscience and Neural Engineering, Head of Machine Learning Group and Director or Research for the department of Computer Science at the University of Sheffield. Her work focusses on computational neuroscience and artificial Intelligence including synaptic plasticity; unsupervised learning; and reinforcement learning. Eleni develops computational models aiming to advance our understanding of the brain learning mechanisms. She targets to unveil the principles that govern the modifications of the neuronal connections when acquiring information, with emphasis to unsupervised and reinforcement learning.